New Zealand’s half a world away, known to most of us as spectacular scenery with hobbits and a vague idea of Maoris and sheep. Meredith Shayne’s added detail and dimension and given life to those ideas. There’s a very, very slow burn between Lachie, a rising star in the shearing world, and Shane, the acknowledged master. It’s not just competition, these men keep an entire industry moving, they’re an essential link between wooly animals and winter coats. It’s a world Lachie loves, and hates leaving. The earthquake in Christchurch changes Lachie’s life and family forever, forcing him to step up to being the head of his family and the only one holding things together. He can’t manage this out on the shearing circuit, so he does what he must, and since Shane’s only a broad grin after a competition, any thought of pursuing more goes by the wayside. Once he’s back on the circuit, things can change. The author seems to have used two real events as her basis, which is great for verisimilitude but may have had an adverse effect on the timeline, because a lot of time passes without much changing. (Christchurch is in a seismic hotbed and if you want to see a really cool demonstration look here: http://www.christchurchquakemap.co.nz/february )(Yeah, I look stuff like this up if the book intrigues me.) The sheep-shearing cycle may also have played into the timeline issues. Lachie’s Maori, or part Maori, and the culture does come into play. While his mother is understandably devastated, she also retreats, and is allowed to remain in retreat, way past grieving and into self indulgence. I had high hopes for change after Jade and the other women from the marae came to visit, but alas, no. The result is a story that encompasses a lot of time but where plot and relationship advance at a glacial pace. The writing is smooth enough to take some of the sting out of the pace, and once the guys do get into bed, they’re in bed a lot, but not talking. Not even the barest bones of something as important as “I have family to take care of,” which boots this into Big Misunderstanding territory. Frankly, I was ready to slap Lachie and his entire family just to get their attention. Ngaire and Kenny, his sister and brother, read much younger than their stated ages and very helpless. While the mother’s depression was understandable, and may be a real course for some people, she lost reader-sympathy fast for essentially abandoning her kids for most of the long timeline. The whole seemed like artificially inflating the reasons for Lachie to avoid a relationship and to feel guilty for even wanting one. Shane and Lachie do eventually expose their hearts to one another, and then cut to the HEA, which accentuated the timeline issues for me. I can’t help but think events could have been better balanced. Shane’s family issue had little foreshadowing, and came out in a rush. 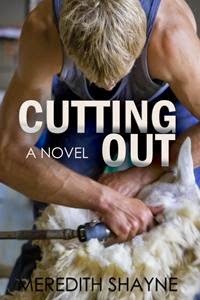 His help and encouragement without favoritism in the shearing shed was lovely, and he seemed like a really nice guy, if not quite as fleshed out as Lachie.